For Mighty Girl books on bullying prevention for young children, check out our post, The End of Bullying Begins With Me: Bullying Prevention Books for Young Children.. For bullying prevention resources for older kids, visit our post, Taking A Stand Against Bullying: Bullying Prevention Books for Tweens and Teens. While some parents and school staff wave off conflicts in elementary school as just a fact of childhood, the fact is that persistent patterns of bullying — whether physical aggression or the more subtle relational aggression of exclusion and manipulation — can emerge as early as preschool ages. The good news is that the sooner kids learn that these behaviors aren’t acceptable, the easier it is to stop them! These books focus on helping adults involved with preschoolers and grade-schoolers understand how bullying manifests at these young ages and how to nip it in the bud. Bullying behavior crops up shockingly young — often, kids are already engaging in it by the time they start kindergarten. Anthony and Lindert tackle bullying behavior in girls as young as five, focusing on the more common pattern of girl bullying, relational aggression, and provide interactive tips to help girls deal with difficult social situations. They provide a four-step program for parents — observe, connect, guide, and support — to empower their girls to handle these issues in their day to day lives. They even provide guidance for how adults can use the same techniques in their own social interactions. This classic discussion of issues surrounding bullying, which has just been released in an updated third edition, explores why the three players — bully, bullied, and bystander — act as they do, and why so many adults dismiss bullying as a childish struggle. 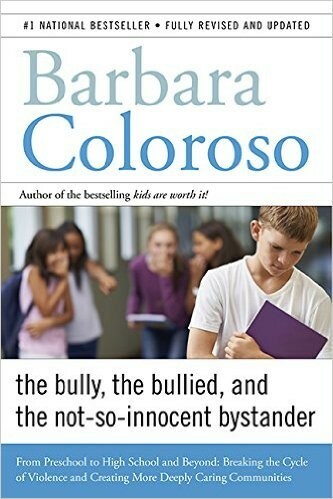 Coloroso explains the different kinds of bullies and how boy bullies and girl bullies tend to differ, and she provides recommendations for helping your child avoid bullying, dealing with your child’s behavior when she is the bully, and even how to evaluate a school’s anti-bullying policy. 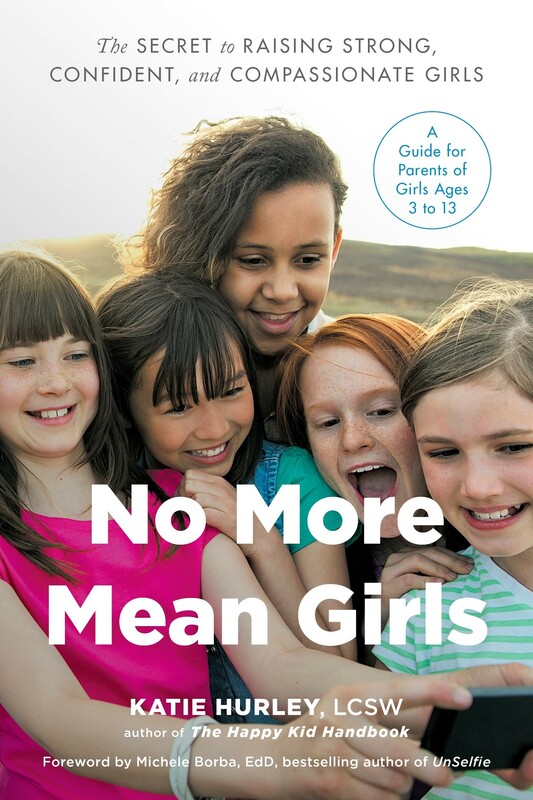 While some sections of the book move beyond elementary school — especially the discussion of cyberbullying and sexual bullying — this book is the perfect starting point for developing your understanding of the topic, as well as for exploring how we can create a bullying-free community for all ages. Goldman wrote this book after her first grade daughter was teased for carrying a Star Wars water bottle. 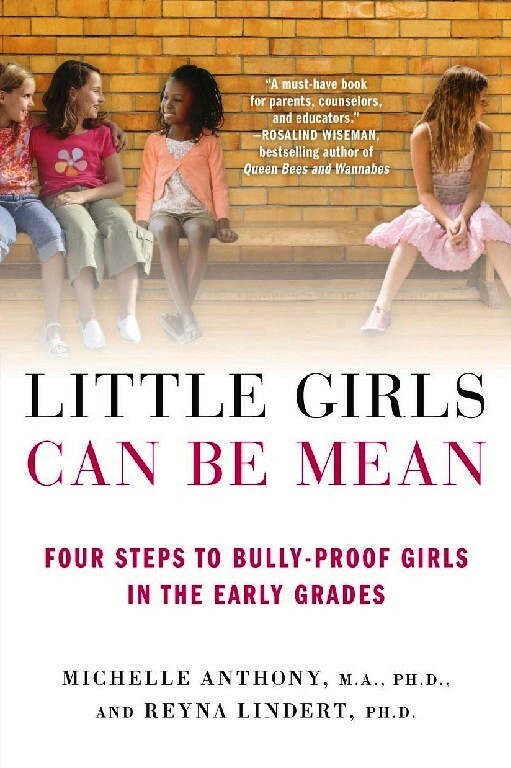 Her in-depth exploration of bullying also stretches beyond elementary school, but emphasizes that the groundwork for bullying — or anti-bullying — starts in these early grades, with a discussion of how society portrays children from the earliest ages. From gender-based marketing to sexualization of children, Goldman untangles the messages children receive about which children are “normal” and which children are, and therefore ripe for peer victimization. Her final message is that support from the wider community — whether peers or adults — can tip the balance in favor of an anti-bullying culture. 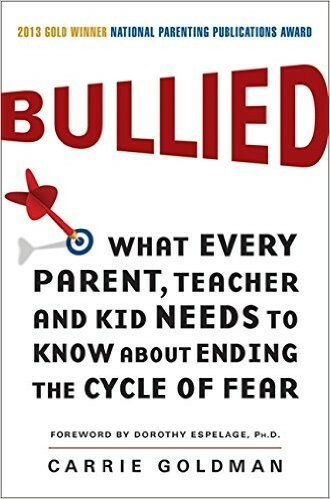 Another great book by Whitson, this title focuses on the actions of parents and educators, and how they can address — and combat — bullying. 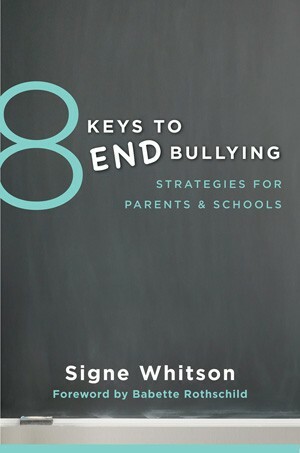 Whitson's 8 keys work in multiple ways on the three players of bully, bullied, and bystander, helping everyone to recognize bullying when it happens, step in when they can, and report the situation when it becomes too much for a child to handle. Her keys are flexible enough to use in for a wide range of ages, but by applying them early, kids can learn that bullying behaviors are simply unacceptable, and will always be treated with the seriousness they deserve. As girls grow up, relationship dramas seem to multiply, and it’s a rare tween or teen who hasn’t been on one side or the other of bullying at some point. Adults are acutely aware of how fragile a kid’s sense of self is during the tween and teen years, and how significant an effect teasing and bullying can have. These books help adults tackle bullying in the tween and teen years. Parents and educators know that middle school can be socially fraught even for the most prepared kids. In this book, Icard explores research that shows why middle school provides such a social challenge — and what the adults in a middle-schooler's life can do to help. Different chapters tackle common issues like peer pressure, social exclusion, put-downs, and the desire to be cool and fashionable; there's even a chapter addressing how to help socially immature kids find their place. 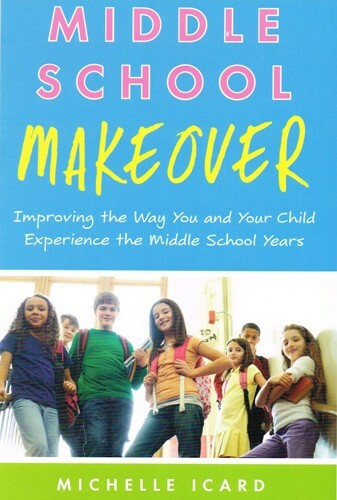 Middle school is a key social development period; the advice in this book can help make that experience a positive one. Just because kids are older doesn’t mean they’ve perfected their social skills, so it’s important to continue teaching them ways to handle social situations. The authors recommend twelve strategies that will prevent bullying. Their philosophy of teaching “help, don’t hurt,” and emphasizing that assertiveness and aggressiveness are not the same, helps kids understand techniques for positive communication both online and in person. They also provide exercises to help girls identify alternatives to bullying behaviors. By using these strategies, adults can help combat the culture that creates bullying in tweens and teens. This title revolutionized the way adults think of girls and relationship conflict when it was published in 2002. Wiseman’s brand new third edition addresses the same questions as the original — everything from how girls choose friends to how relationships with friends, boys, and parents influence them — and also explores the increasing influence of technology on girls’ relationships. Equally importantly, Wiseman addresses how a parent’s experiences affect how they handle their daughters’ social conflicts, and encourages parents to find the right balance between being involved and empowering their daughters to find their own solutions. 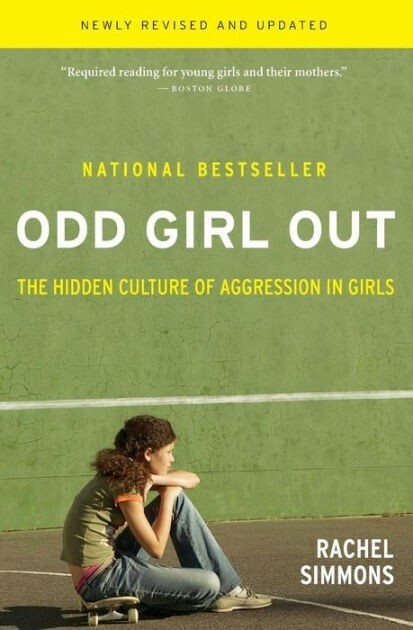 Another bestseller that changed how parents think of tween and teen girls and their interactions, this book argues that girls are socialized not to show “negative” emotions like anger, which results in girls using passive, indirect aggression rather than tackling conflict directly. 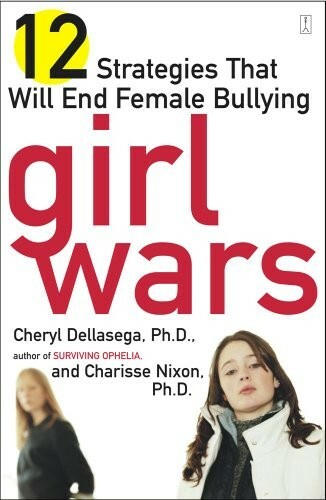 The result is classic female bullying: cliques, exclusion, silent treatment, note-passing, and other social manipulations. Simmons recommends encouraging emotional honesty to help girls change the dynamics of unhealthy friendships. A follow-up book for teens, Odd Girl Speaks Out, collects anecdotes, letters, and other writings by girls, which provides a great way to start discussions with Mighty Girls around you about the observations in Odd Girl Out. 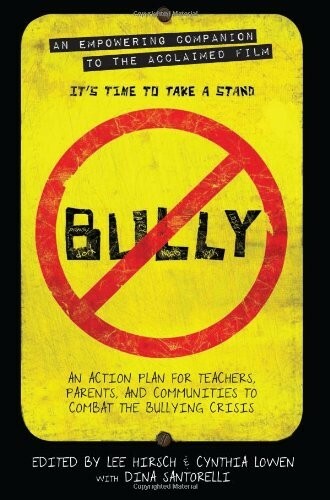 This 2012 companion book to the documentary film Bully (age 13 and up) provides insights and ideas for action from celebrities, psychologists, authors, government officials, and educators. Through the book, the filmmakers hope to encourage people to consider bullying a problem of the wider community, not just an issue that’s dealt with at school. In addition to the general discussion, a “making of the film” chapter and a “where are they now” section allow adults to engage teens in what happened in these particular situations when the cameras were off. Of course, bullying for kids today has gone beyond the schoolyard. Whether you’re trying to provide advice about cybersafety and appropriate Internet behavior, or addressing the fact that sometimes, the bully in a child’s life is an adult, these books will help. 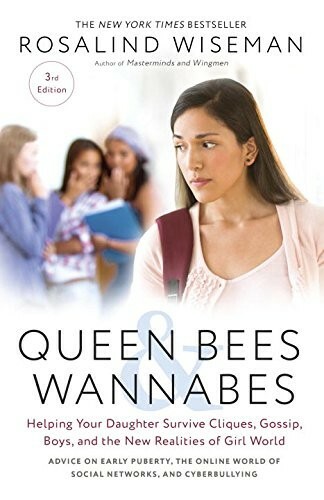 In this book, Wiseman and Rapoport address a common question: what happens to Queen Bees and Wannabes when they grow up? The same behaviors and attitudes that pose problems for tweens and teens can also emerge in adults, whether it’s a coach who belittles players, a teacher who dismisses a struggling student as incapable of learning, or a parent who encourages one-upsmanship in a child’s peer group. 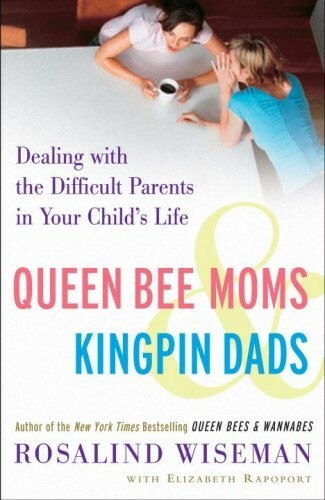 The book helps parents understand when to step in and when to coach children on how to resolve conflicts with adults on their own, as well as providing insight on how parental competition and conflicting values prevent parents from working together effectively. Cybersafety — and its dark counterpart, cyberbullying — is a big concern for parents today; not only do parents often feel less comfortable in a digital world than their children, but they are often uncertain about how to handle the challenges of social media and texting without simply restricting access. Steyer, the founder of Common Sense Media, discusses cyberbullying as part of three common issues kids face with digital media use: relationship issues, attention and addiction problems, and lack of privacy. His guide focuses on teaching kids from preschoolers to teens how to make good decisions when using digital media, whether they’re deciding what information to provide a new virtual friend or wondering what to do about a harassing message. Digital interaction has both its advantages and its pitfalls, and Edgington's exploration of both is clear and helpful. 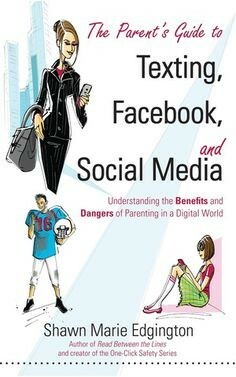 This book encourages parents to understand how technology can be used to help protect kids, recommending that they learn about ignore and block functions, parental controls, and software like Google Alerts. However, she also recommends ongoing, frank discussion with kids, especially tweens and teens, about the risks associated with the technology they use. Setting clear boundaries — especially in written format, as in the sample cell phone and social media contract provided at the end — can help parents guide their children slowly into the complex world of online social interaction. Of course, almost all of the tips for tweens and teens about how to avoid cyberbullying can be summed up simply: be kind. 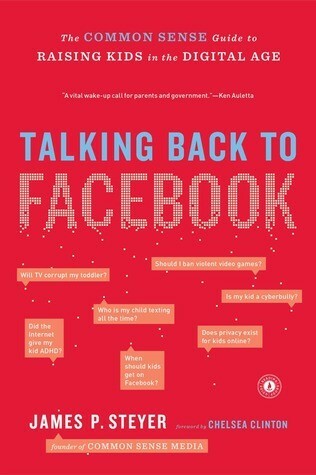 Breen has personal experience with the nastiness that can emerge in the online world, so when her own children started asking to use social media, she started work on this book. 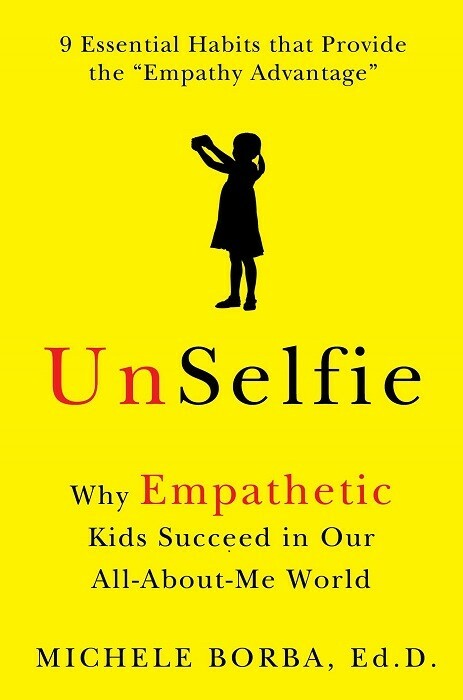 Each chapter teaches a habit to encourage kindness online, along with tips for parents about how social media tools like friend lists, likes and favorites, and comments can be used as tools for whether you "measure up" socially. 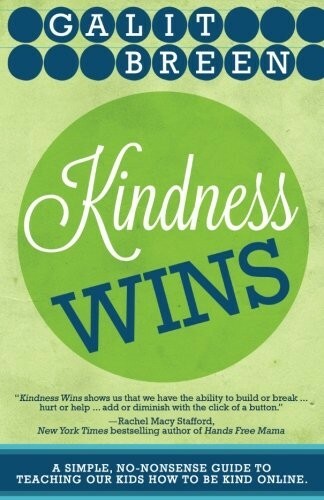 The book ends with two Kindness Wins contracts — one for peers, and one from kids to parents — which affirm a commitment to kindness and caring in the online world. Adults have a tremendous opportunity to influence kids' understanding and response to bullying. By teaching them how to interact positively with their peers and giving them the tools they need when conflict does arise, we can help support them as they work towards a bullying-free world. For more resources for parents, visit our selection of Parenting books about Bullying. To help teach your Mighty Girl how to navigate a digital world, check out our parenting books about Responsible Technology Use. For stories to help teach kids how to develop healthy friendships , visit our blog post on Making and Keeping Friends: Mighty Girl Books about Friendship. One great way to stop bullying is to ensure that the girls in your life are confident in their self-worth. Check out our parenting books about Body Image / Self Esteem for books that teach adults how to make sure girls feel great about themselves. Differences can make kids a more likely target for bullies, and for both girls and boys, gender non-conformity is a difference that even very young children may latch on to. For books that explore research into truths and myths about gender, please see our Gender Research section. Other differences that can result in peer exclusion are disabilities, physical or mental illnesses, family circumstances, and lesbian, gay, bisexual, transgender, or questioning (LGBTQ) sexual orientations. For parenting books that discuss each of these issues, including the negative attention that may come with these situations, please see our Special Circumstances section. It’s important to remember that, for all parents’ worries about bullying, exclusion, and harassment, the vast majority of kids will grow up to be great people! For an inspirational parenting book that reminds parents how small actions — on their part and their children’s part — can change the world, check out The World Needs Your Kid: Raising Children Who Care and Contribute by Craig Kielburger, Marc Kielburger, and Shelley Page. No matter what your child’s interests, this will help inspire them — and you — to go out and make the world a better place.